It is time for another Makeup Revolution article! This time it is about the Renaissance Collection were I talk about the Renaissance Glow and the Renaissance Palette Night. I was super excited when I received my monthly Makeup Revolution package. 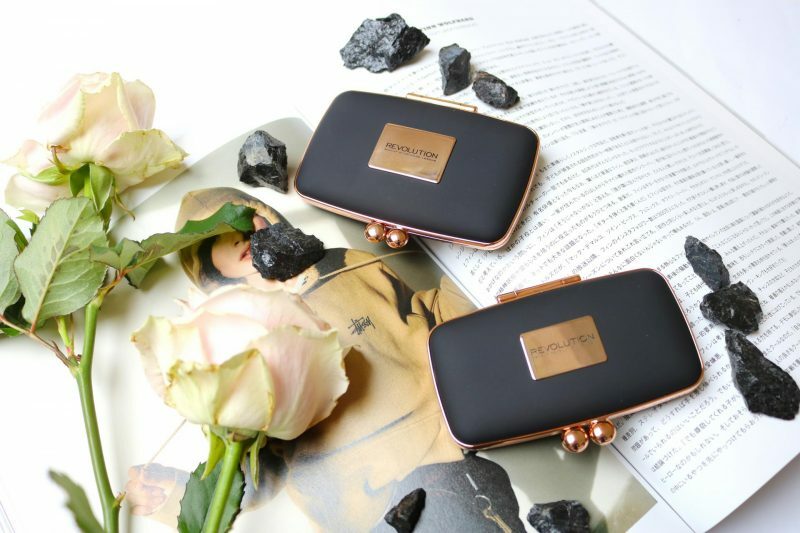 As a #therevolutionairies (which is the MUR term of being a Brand Ambassador) I have the opportunity to receive their most famous and beautiful items to test out. The Renaissance Collection is by far the most beautiful collection I received from them, and by seeing the pictures you can see why! Already getting curious if the powders are also that great as the gorgeous packaging? The Renaissance Collection gives you this Marie-Antoinette feeling (even tho the Renaissance already ended way before she was born, you get me): you own something beautiful that feels like 1000 bucks but it only costs you a small amount. Everyone can feel like a princess thanks to Makeup Revolution. The beautiful cases are the eye catchers of this collection, this is the reason why you have to get this! Okay, don’t stop reading my review because ofcours the product is also important (after the cute packaging). This month I received 4 products from Makeup Revolution but it is always hard to make a decision about which product I really want to write about. It was a really this time to pick an item so I went with two products which I find the most beautiful and unique ones from this month box. 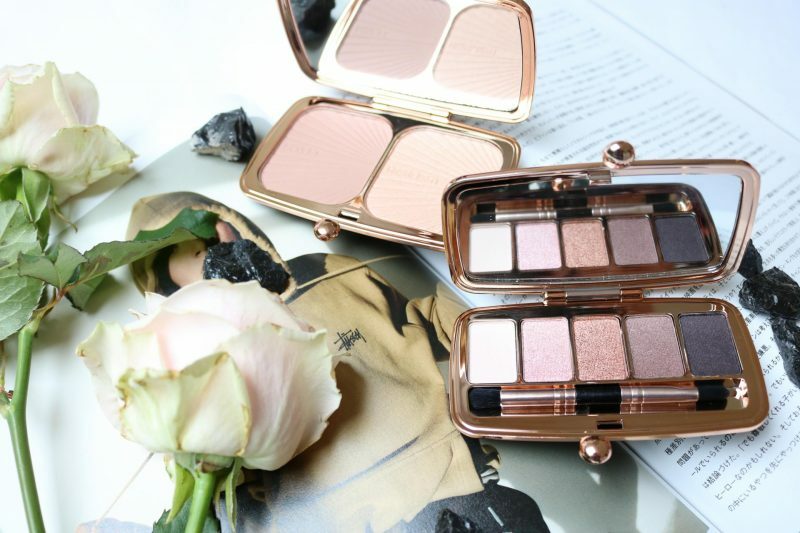 Oh, and one of these items is the dupe of the Charlotte Tilbury Filmstar Bronze & Glow Palette. When you think of the perfect glow you might see this palette in front of your eyes: a beautiful bronzer with highlighter. The makeup lovers here may have the same thought as me. This palette looks exactly like the Charlotte Tilbury Filmstar Bronze & Glow palette. 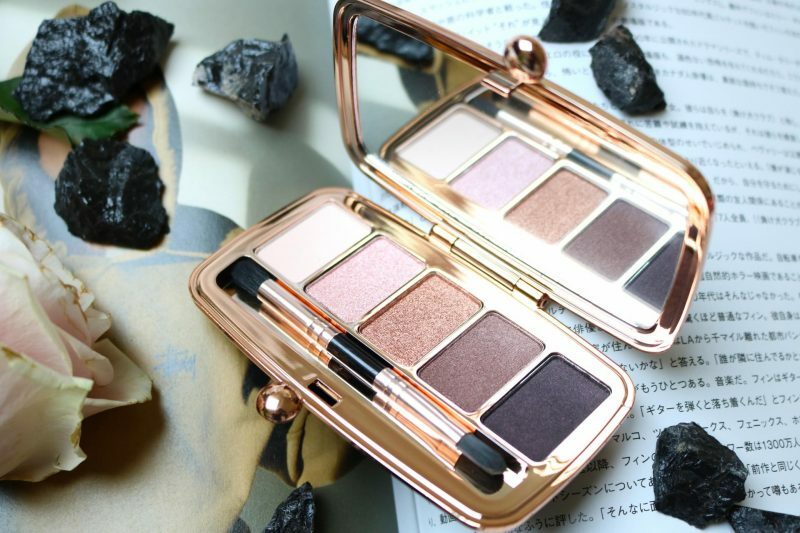 It is almost identical, except for the stripes because in the Charlotte Tilbury palette the stripes are creating a star and here they all point the same way. Can we say it is a copycat or more like inspired be? Hmmm, you tell me. At first sight the powder looks very creamy to me. The bronzer shade looks cool which is great because I can’t stand an orange bronzer, they are a no go for me. The highlighter looks super pretty and I can’t wait to dip my brush into the powder. 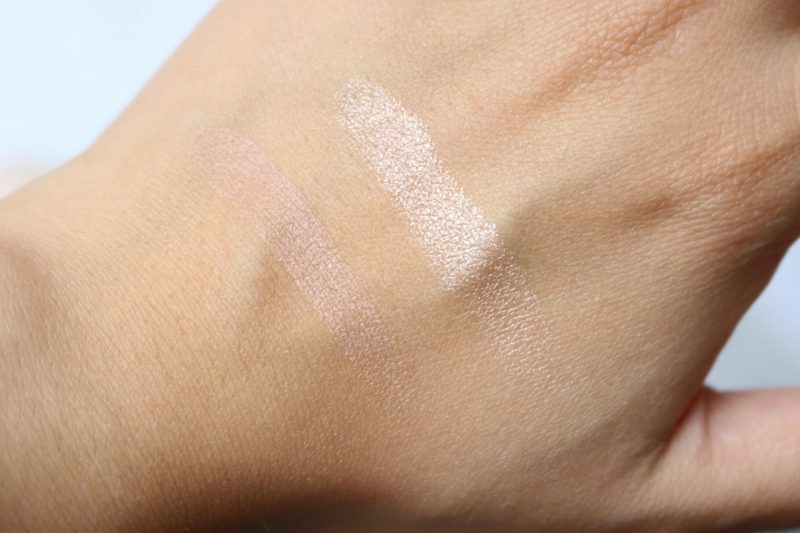 When I swatched the powders on the back of my hand, I could immediately feel the creamy/smooth texture of these powders. They feel so delightful! 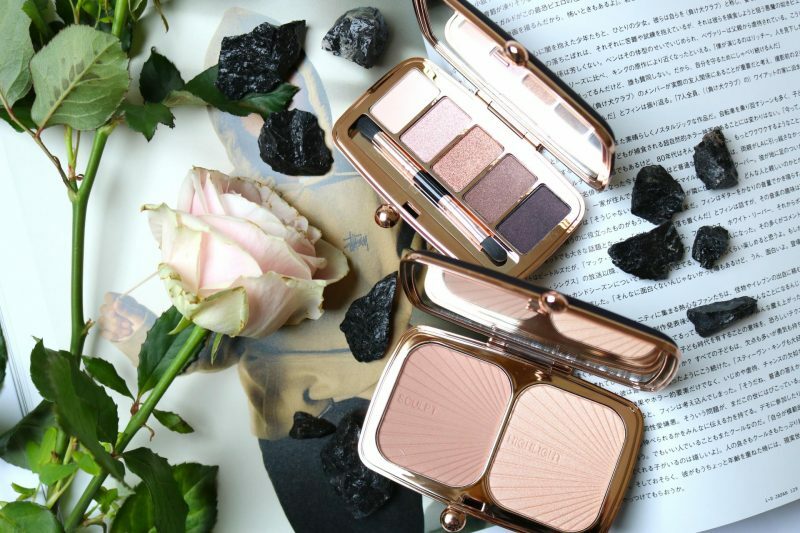 You can’t even say that these are affordable makeup items because if I had these powders and the ones of Charlotte Tilbury next to each other, the textures are exactly the same. 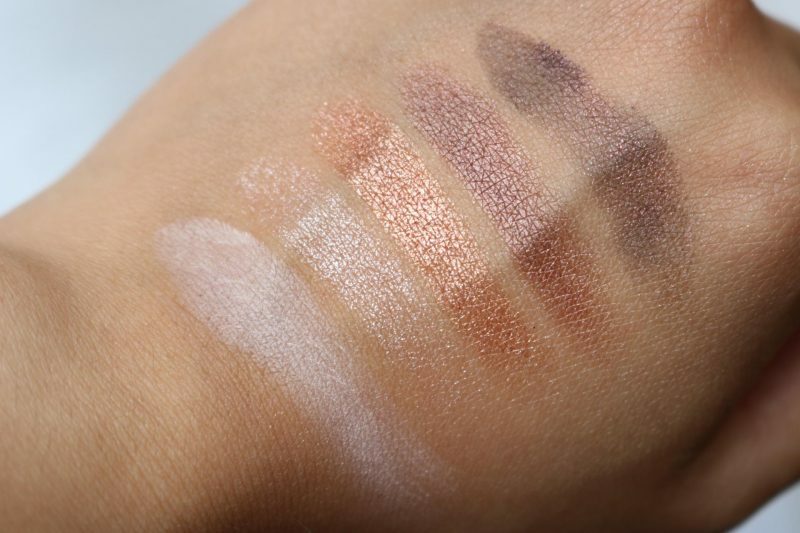 The bronzer is a really subtile and maybe a bit too pale when you first swatched it. But if you build up the powder the bronzer will get more intense. 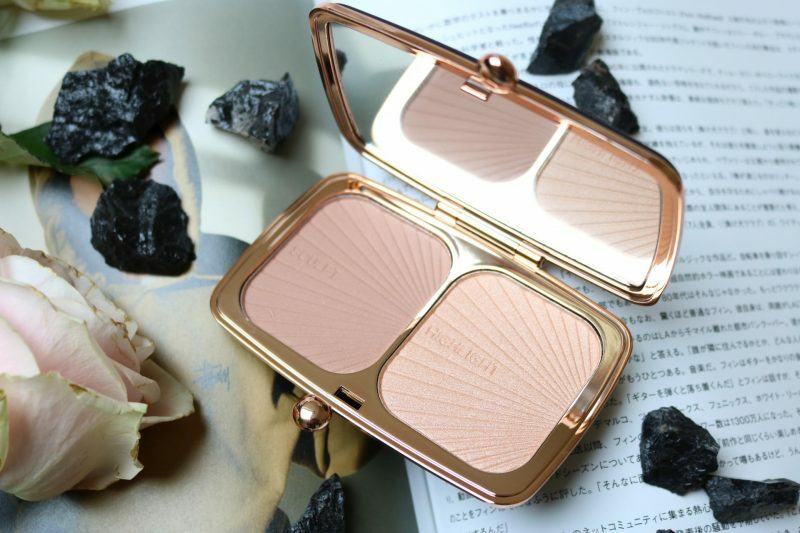 The highlighter is the pearl of this palette, such a beautiful pearly shade with a hint of pink. But how long does the powder stay? I took it with me during my Japan trip and it was 30 degrees over there, but it stayed all day from 09AM to 19PM. 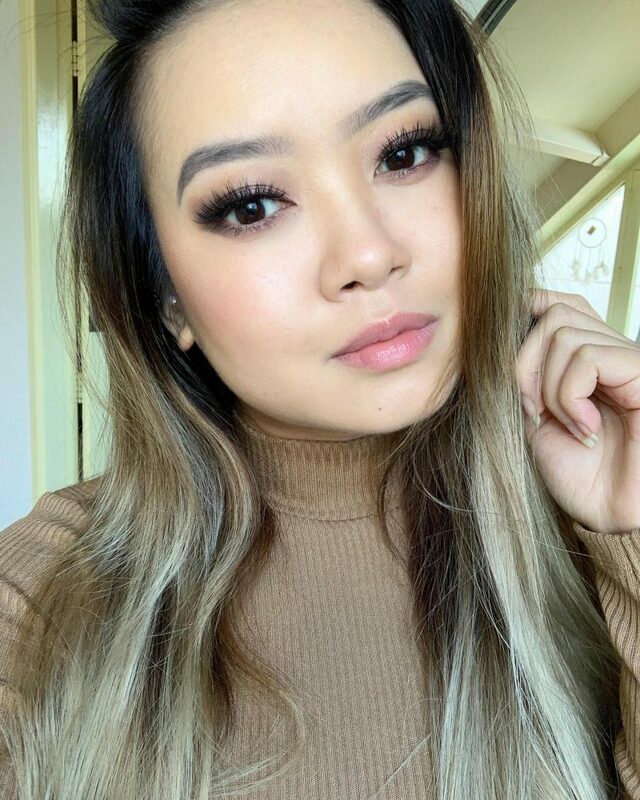 Looked great even on my oily skin! Almost every brand has a collection were they use day and night as a part of their makeup line. I received the Day and Night Renaissance palettes but the Night was the one which really stood out! Not forget about the beautiful packaging (the day is a pink case, night black). This night palette was also something that surprised me with their shades. I see cool and warm tones, bright and dark. Such a great combination of colors, so I couldn’t wait to swatch them! The powders looked very glittery at first. I was a bit afraid if these glitters were an overspray or really that shimmery when you swatch them. Some (cheap) brands use an overspray so the powders look super glittery but when you remove the first layer of powder it is just matte! Yes, some company’s are cruel. 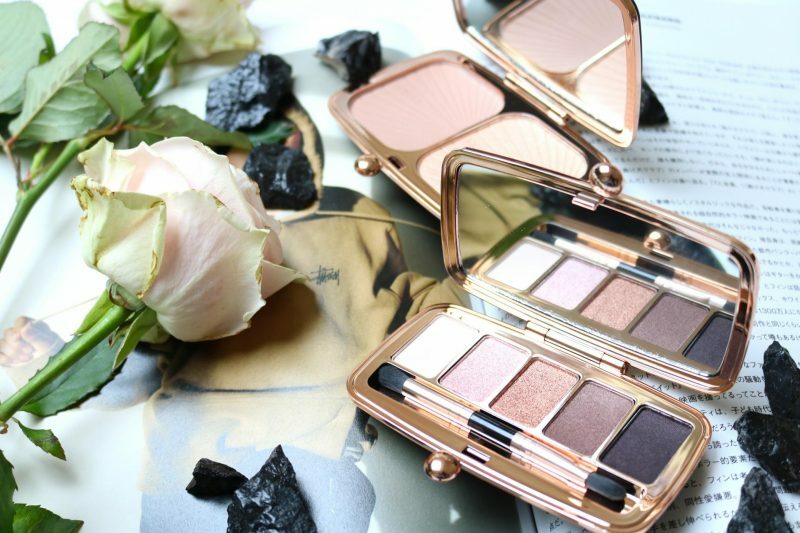 I’m not kidding, these eyeshadows are b-e-autiful! The moment when I touched these powders they felt so creamy. These swatches on the back of my hand were just a small amount of powder and you already get these super pigmented shades. My favorite color must be the copper shade in the middle and the brown metallic next to it. I imagine everyone with this palette because these colors are so beautiful, they go so well together and they look pretty on their own. There was no fall out when I tried them and they stayed for half a day without an eyeshadow primer. 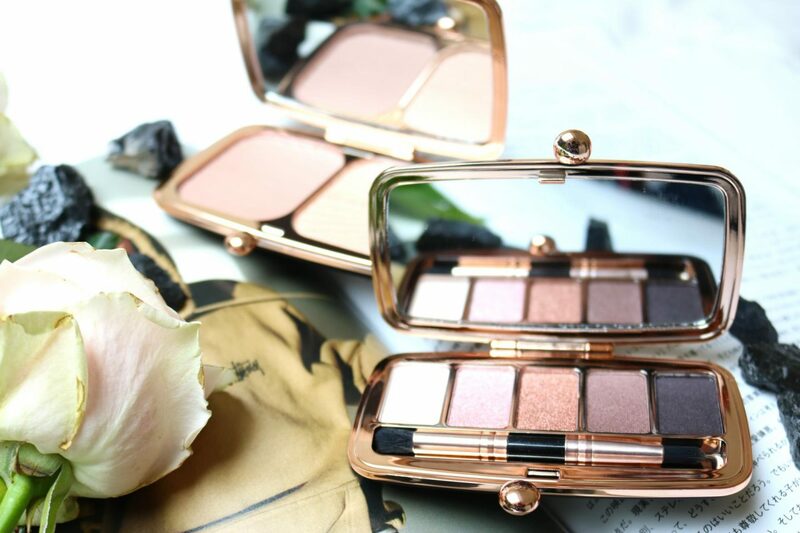 It is clear that these Renaissance palettes are a must have only because they look gorgeous. Not only the packaging but also the product itself are amazing! I’m so surprised about the Renaissance Night Palette because these colors are not your typical ‘night’ shades you see in some other night look eyeshadow palettes. They really thought about it to be more romantic with this Renaissance collection. 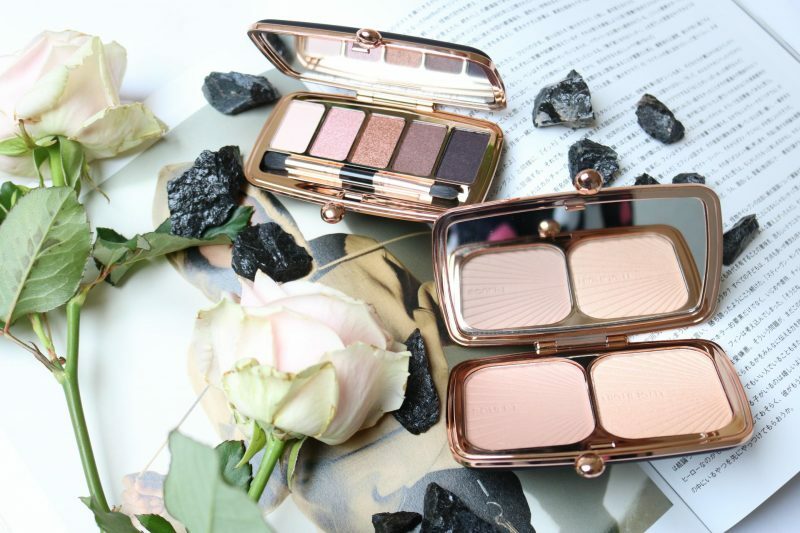 The Renaissance Glow is a great dupe for the famous Charlotte Tilbury Filmstar Bronze & Glow palette, someone who is on a budget must get the this! This is a great collection for people who don’t want to spend much money of pretty looking makeup items but still want to have a great quality. Well I can say that both palettes have the most creamy texture I’ve ever tried from all the Makeup Revolution items! You can get your own Makeup Revolution Renaissance items at your local Etos drugstore or at Beautylala.com. Previous Post A full skincare routine with a tablet? Feather & Bone Face Gems Face Wash! Next Post Do you want to get Skin Kissed by Makeup Revolution?